Essentially a labour-intensive sector, the readymade garment industry of Bangladesh is reportedly handicapped by scarcity of skilled manpower which is seriously impacting the industry’s efficiencies while also creating hurdles in moving towards offering value-added products and graduate to the next level of manufacturing and product excellence. As per the Directorate of Textile (DoT) report published in 2015, apparel sector has been facing a shortage of about 0.11 million skilled manpower, from floor to executive level, which could well touch an astounding 1,82,000 by 2021, if adequate steps are not taken. The issue of manpower crisis was once again brought to the fore by a seminar organised by private think tank South Asian Network for Economic Modeling (SANEM) in Dhaka recently which maintained that notwithstanding the fact that Bangladesh is the second largest garment exporter globally, the readymade garment sector has miles to go towards attaining self-sufficiency in terms of skilled manpower. Apparel Resources in its endeavour to present the existing scenario interacted with the stakeholders to know their views on this issue, all of whom were unanimous in their opinion for upgrading the skill set of the workforce, especially the middle management. “The industry has been suffering a massive shortage of qualified and skilled manpower. That’s why the Government has decided to create fashion designing and merchandising departments in private and public universities. But it will take time to fill this gap, considering the huge demand. May be another 4-5 years,” opined Prof. Dr. Engr. Ayub Nabi Khan, Pro-Vice Chancellor of BGMEA University of Fashion and Technology (BUFT). Says Syed Diganta Munir, Director of UH Trendz Limited (a buying house), “In Bangladesh, lower-skill level training institutes are numerous but those for middle-level are handful.” However, given the increasing focus on manpower development, things might change for better in the coming days, Munir feels. “In the last 4-5 years, a number of good institutes from overseas have opened their branches here, including from India, which is very encouraging,” observed an alumnus of National Institute of Fashion Technology (NIFT) from India. “Bangladesh garment industry has been struggling to find the right people for mid-managerial jobs. When BGMEA founded the BUFT in 2000, I was involved with it. I worked there for 7 years and know how difficult it was to identify the right area to work on. After spending 7 years in BUFT, I realised mid-level management is the core crisis Bangladesh industry has been facing,” explained Sheikh Md. Nizam Uddin, Principal of College of Fashion Technology & Management (CFTM), who has started his institute focussing on developing the middle-management. It is the very need of the trained manpower which led DBL to start Future Leader Development Programme to churn out efficient managers. “People management has emerged as a real big challenge for us. There is acute shortage of mid-level management professionals who can efficiently handle and adapt with the requirements of the changing times,” observed Asif Ibrahim, Managing Director, Newage Group, adding that most of the mid-management professionals currently engaged in the industry lack in educational pre-requisites. “What they have learnt, is all through their experience of working in the factories, rather than by any formal education. 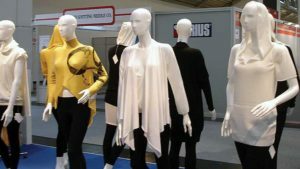 So, when it comes to adopting new and advanced techniques of garment manufacturing, there is usually a lot of resistance from them as they feel their jobs could be at stake in such a scenario,” pointed out Asif.